There are quite a few images that come to mind when someone mentions Jamaica. Beaches? Most definitely. Sunny weather that puts England to shame (as most places do)? But of course. Jerk chicken? Perhaps. Rum? Indeed. Adventure? Just you wait! While Jamaicans’ chilled lifestyles are the envy of most of the world, so should their playground of Caribbean countryside be. This is a country that will push you to the edge and then launch you straight off of it, injecting your holiday with more than a healthy dose of excitement. Rushing waterfalls and rivers, steep cliffs, speedy zipwires and Segways are all par for the course in this tantalising country. Bob Marley and that rum cocktail can wait. 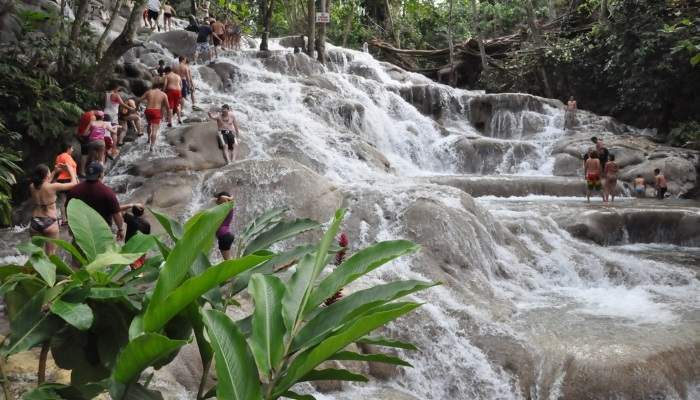 Not just an idyllic sight to look, the Dunn’s waterfalls in Ochos Rios have become a climbing challenge. The walls are 180 feet wide and 160 foot long – they’re not to be scoffed at. One section has been dubbed the ‘Tornado’ thanks the to fact torrents of water come at you from all sides as you walk up. Book a walk up with a tour guide – they’re much more likely to keep you upright and on the right path! 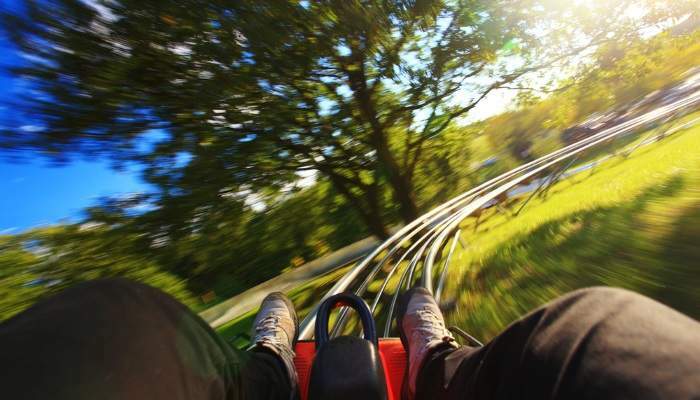 You’ll probably want to yell ‘feel the rhythm, feel the rhyme!’ as you hop into a bobsled and zip down the mountain at up to 40 mph (it feels a lot faster than it sounds). 1,000 metres of stainless steel will carry you down the magic Mystic Mountain – try and appreciate the tropical landscapes as it zips past. Also near Ochos Rios is a chance to get another perspective of your stunning surrounds. That is, if your heart isn’t hammering so much it causes you to squeeze your eyes shut. 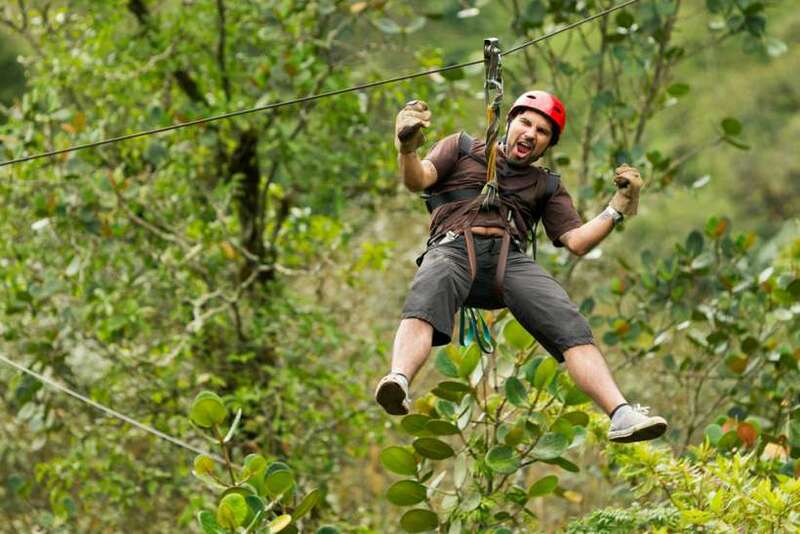 Stand high in the rainforest canopy and choose between seven different platforms, with ziplines around 100 metres long. For those really looking to get their hit of adrenaline, there’s a 10-metre descent on one of them! We were all painfully aware that Back to the Future got one thing wrong: there are no hoverboards yet. 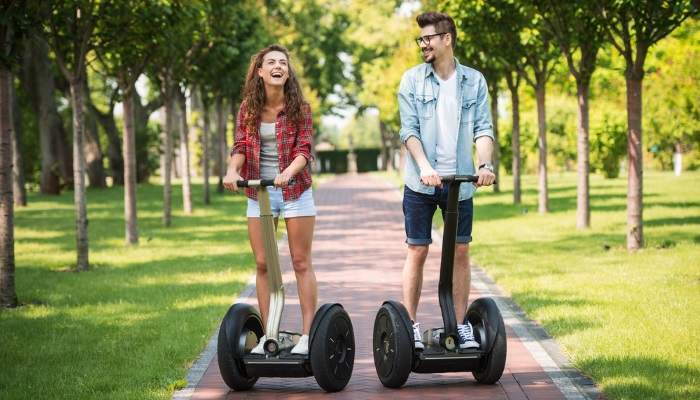 I guess if we had to stretch it, Segways could be one of our closest version yet. Either way, discovering and exploring some of Jamaica’s plantations atop a Segway really can’t compare to any other version of travel. Considering the Prospect Plantation is 100-acres, you have plenty of time to learn how to stay upright. If that doesn’t appeal, there are also dune buggies on offer, if you don’t mind getting down and dirty in the mud. The Prospect Plantation grows everything from bananas to coffee and boasts spectacular views of the White River Gorge. You can also take a tour atop a camel – and why shouldn’t you? It may sound a bit poncy, saying you’ll ‘feel at one with nature’, but we can’t help but think it may just creep into the outer-regions of your brain as you sink into the cool, clear waters of the sea atop your horse. Traipse through paradisiacal country trails, past sugar cane fields and swaying palms, before finding yourself on a sandy beach. 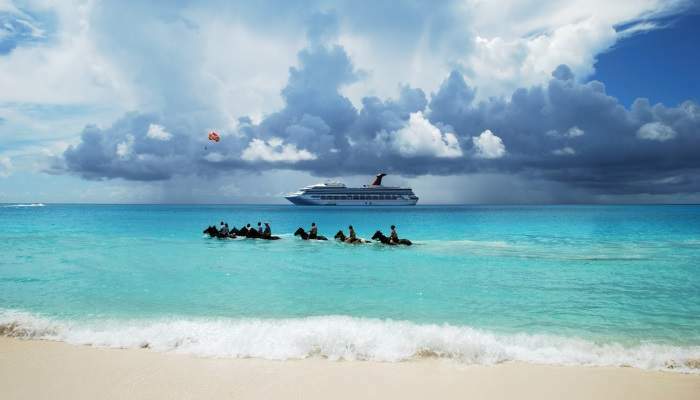 Chukka Caribbean Adventures are a good tour company to go with and their horses are trained to go further into sea – up to their necks, in fact. 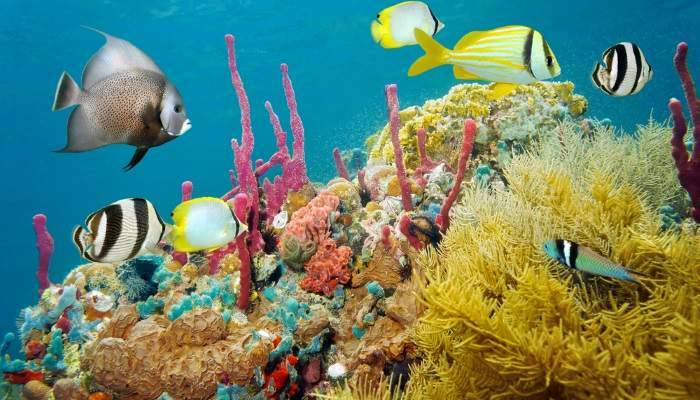 Hop onto a catamaran and prepare for an under-the-sea adventure. The lapping waves of Seven Mile Beach in Negril, Doctor’s Cave Beach, Treasure Beach and Bluefields Bay are teeming with tropical fish, rays and brightly-hued coral. Don’t forego any option to swim to dolphins either. There are nice, meandering, relaxing sessions to be had down rivers in the world – one where you could have a cocktail in hand and not spill a drop. The Rio Bueno is not one of those rivers. 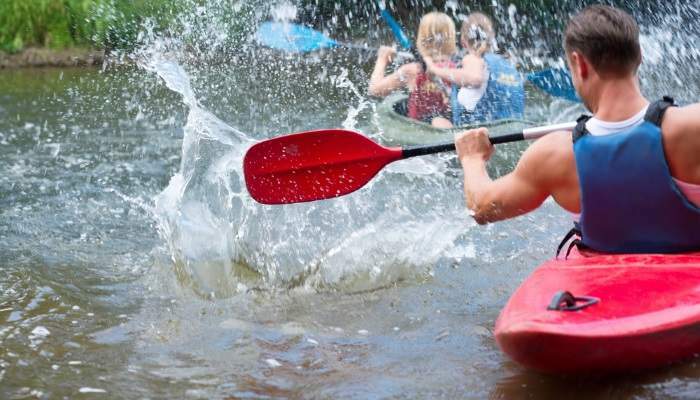 Try river boarding, kayaking, river rafting or tubing down this rushing body of water and the sudden dips, turns and speed will keep you on your toes. Half way through take a break and have a go at the rope swing! You can’t leave Jamaica without a visit to Rick’s Cafe. Don’t be fooled by the name – it’s not just a cafe or the best place to see the country’s sunset. You’ll be standing 80 metres above a crystalline lagoon. 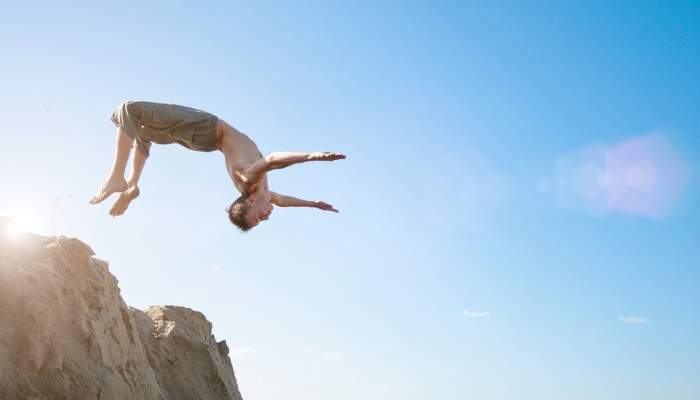 Expert cliff divers will be jumping the whole distance, while you’re invited to try out the 35 metres option. Ignore your mother’s voice ringing in your ears – everyone is jumping off a cliff, and so should you. Ready for a Jamaican adventure? We can help you find the best deals on flights, holidays, hotels and car hire!